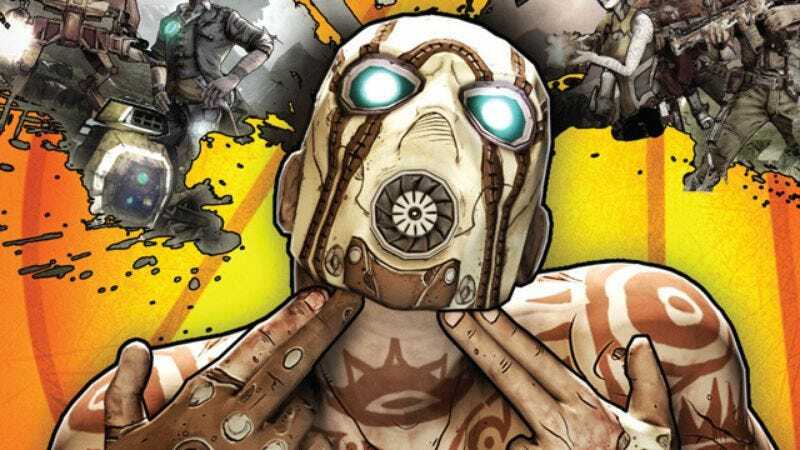 Fans of swearing, explosions, and virtual piles of guns have something new to look forward to/dread, because Lionsgate has announced that it’s giving Gearbox Software’s popular firearm-collection simulator Borderlands the feature-film treatment. According to Variety, the film is being produced by Marvel Studios founder Avi Arad, whose credits include Iron Man, Blade, and pretty much every Spider-Man movie, along with with his son and frequent collaborator, Ari. Hollywood’s ongoing quest to crack the multi-million dollar games market has been picking up steam again lately, with Michael Fassbender running around like a parkour monk for Assassin’s Creed and Nintendo hinting that it might have finally recovered from the decades-long shame of the Super Mario Bros. movie. It’s worth noting, though, that producer Arad has a long track record of attaching himself to adaptations of popular games—his name has been linked with Mass Effect, Uncharted, and Metal Gear Solid, among others—that never actually get made. Since leaving Marvel Studios in 2006, only one of Arad’s video game adaptations has made it out to the public: the kid’s cartoon Pac-Man And The Ghostly Adventures. It’ll be interesting to see if Borderlands can beat the odds and join its pellet-chomping brethren in the public eye.